Physical education courses are a vital part of a student’s education experience. These courses allow students to have opportunities to take a break from high-stress core classes, socialize, and engage in physical activity. Although most people think of physical education courses to be boring with units such as basketball, flag football, volleyball, and tennis, there are a wide variety of courses available. 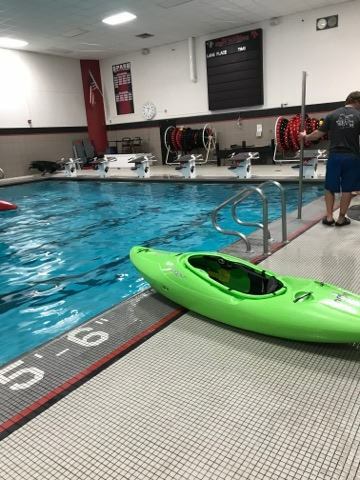 At Stevens Point Area Senior High (SPASH), two of the adventure physical education courses that are available for students to take are Adventure Recreation and Adventure Leadership. “These gym classes offer a fun and more creative way to get fit instead of the traditional gym classes. Everyone gets really close in the classes and you trust your classmates while climbing or in a kayak,” Rachel Sunu said. Adventure Recreation is available for all students at SPASH. There are many units such as team building, rock climbing, cross country skiing, snowshoeing, scuba and snorkeling, kayaking, ropes course, and survival skills. Adventure Leadership is only for seniors who have previously taken Adventure Recreation. This course allows students to apply the skills that they learned in Adventure Recreation with more focus on leadership. “Adventure Leadership allows my kids to use their skills to help others. We go to elementary schools, the Boys and Girls Club, and work with the students to practice the leadership skills that are taught,” physical education teacher Amy Steinmetz said. The units of education are the same between the two adventure courses, except the leadership course also includes canoeing, hiking, camping, trust initiatives, and orienteering. These courses allow students to explore new activities that are different than the traditional physical education courses that tend to be highly competitive and make students feel pressured to do well. “Adventure physical education classes offer students an opportunity to practice not only being adventurous, but teamwork, problem-solving, and collaboration. 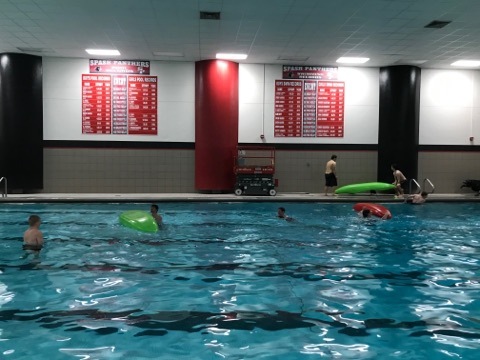 It also gives them a chance to learn skills that most classes do not provide like white-water kayaking and rock climbing,” Steinmetz said. “I feel like the classes really challenge you. Steini really pushes you to test your limits and if you are afraid of something she will work with you to make sure you are comfortable yet still pushing yourself. You get to see a lot of growth in yourself through these classes.” Sunu said. These classes are recommended for everyone. Although these are very adventurous courses, everyone can gain something from the class whether it be physical fitness, higher self-confidence, lower anxiety, strong friendships with classmates, or just a very welcoming environment for an hour a day. I really liked reading your article. Your writing is well informed and chops right to the point both being solid article and well written to read. Good job. I really liked the way that you wrote this article. You addressed the classes very well and got in depth with each of them. I have never taken either of these gym classes but now I wish I had! I really wished I would’ve taken Adventure Leadership, it seems like its right up my alley. It would’ve been a good break in my day too, just having fun doings outdoorsy stuff. Great job writing your article!